This is a story of a positive test for a Class 1 drug that was lost for eight months, then ignored for a year, only to resurface now. On September 11, 2016, a field of eight Standardbreds competed in the $252,000 Pennsylvania Sire Stakes Championship at Harrah's Philadelphia in Chester, Pa. Ten days later, the Pennsylvania Equine Toxicology and Research Laboratory (PETRL), the official racing laboratory, issued a report to Pennsylvania Horse Racing Commission (PHRC) headquarters in Harrisburg with a finding of oxycodone in the blood and urine of a horse that won part of the purse money. What happens next is – nothing. At least nothing happened for the next eight months. From September 21, 2016, until approximately May 31, 2017, this information remained in limbo. Not even the judges at the track were aware of the lab report. After May 31, 2017, the matter was ignored. I can confirm that the 9th race of September 11, 2016 was the PA Sire Stakes Championship. On May 31, 2017, I became aware that there was a test result by PETRL on a particular sample for the 9th race of September 11, 2016 that had not been called. At the time, the Commission and the Bureau were in a state of transition in a few key personnel areas and unfortunately, this test result was not timely addressed. When we discovered the PETRL test result approximately nine months later, we concluded, in consultation with our legal department, that due to the unusual length of time between the race date and our discovery date, we decided that we could not properly proceed with the matter against the individual trainer or owner. The matter has been closed since June of 2017. No penalties were imposed as a result of human error. In light of this circumstance, new procedures we're (sic) put in place to prevent another such occurrence. There are three non-negotiable characteristics that are expected of racing's regulators: Be fair, be consistent, and be transparent. Fail in any of these areas, and you lose the trust and respect of the public. Or in this case specifically, the horsemen. The positive finding from the lab on the Sire Stakes horse did not occur in a vacuum. In the latter half of 2016, the PHRC and the drug oxycodone were not strangers. The PHRC prosecuted four laboratory findings of oxycodone between July 2016 and December 2016. Here is a synopsis of relevant laboratory findings in the above-mentioned time period. In all four cases that penalties were assessed, the judges were notified within days of the lab report's being issued. Their first step was to promptly notify the horse's trainer. Each trainer received a year suspension and a $5,000 fine and the purses were ordered to be forfeited and redistributed. Each trainer appealed. The penalties were reduced due to mitigating factors. The suspensions and fines were rescinded but the purses remained forfeited. The oxycodone finding in the Sire Stakes Championship was the only outlier. No notice. No hearing. No appeal. No forfeiture of purse. Owners and trainers in the $252,000 stakes race were denied money that was retained by the connections of a horse testing positive for oxycodone. Is that fair and consistent? Even after eight months in limbo the judges were ready to proceed with the standard protocol. But as soon as the lab finding came to their attention in late May 2017 they got word to back off. Don Harmon was the Presiding Judge at the Chester track. The judges were told by Mr. Revington not to pursue this matter. 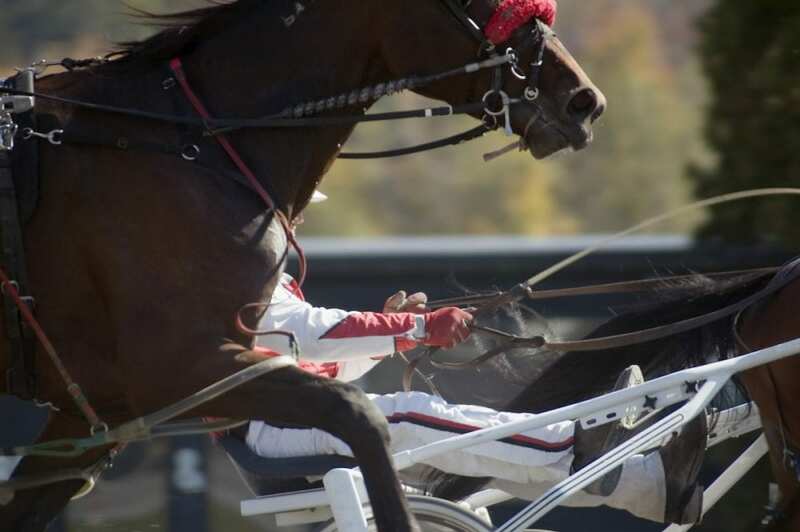 Mr. Revington had become Mr. Harmon's supervisor when Mr. Revington was hired in November 2016 as the director of the Bureau of Standardbred Horse Racing. How unusual was Mr. Remington's directive? Mr. Harmon met with Mr. Revington twice in person to voice his concerns. According to Mr. Harmon's calendar, the first meeting took place on June 4, 2017, at the Oxford Diner in Oxford, Pa. This meeting was held at Mr. Harmon's request. His main purpose at the meeting was to discuss the lack of action on the laboratory findings in the 2016 Sire Stakes Championship. According to Mr. Harmon, Mr. Revington could not be persuaded. This case was not going to be pursued. Undeterred, Mr. Harmon met again with Mr. Revington later in the summer at the track in Chester to plead his case. The Chester meet ended on December 17, 2017. The following day, Mr. Revington informed Mr. Harmon that his employment with the Pennsylvania Horse Racing Commission was being terminated. Mr. Harmon had served as a judge in Chester for 10 years. The only reason given was that they wanted to move in a different direction. When regulators are not forthcoming on matters of public interest, the first question people ask themselves is – what else are they hiding? CORRECTION: An earlier version of this article misstated the year Brett Revington was hired as director of the Bureau of Standardbred Horse Racing. It was November 2016, not November 2017. Joe Gorajec served as the executive director of the Indiana Horse Racing Commission for 25 years (1990-2015). He is also a former chairman of the Association of Racing Commissioners International (2008). This entry was posted in NL Article, Ray's Paddock and tagged brett revington, don harmon, drugs in racing, harness racing, horse racing regulators, Joe Gorajec, oxycodone, Pennsylvania Equine Toxicology Research Laboratory, pennsylvania sire stakes championship, PETRL by Joe Gorajec. Bookmark the permalink.